On one side, it plugs into the cassette port, but all lines are traced across the board to the other side. This should allow the use of a datasette without unplugging the device. I haven’t tried it yet because I currently don’t have a datasette available. IEC and SD connectors are facing left as is the USB connector serving as an optional external power source. It is currently mini rather than micro USB because that was what I had in stock. 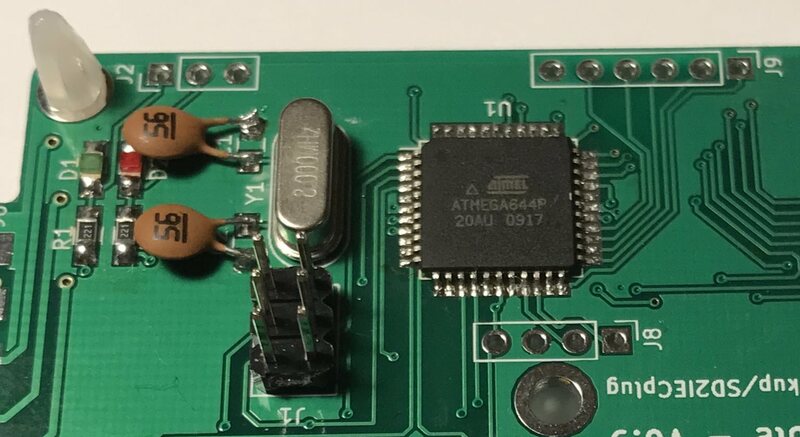 There are pin headers for the ISP, for connecting alternate LEDs, for I2C devices (like displays) and for optional buttons or switches. Also optionally, additional components can be fitted that should hopefully allow turning this board into a TAPuino using the right firmware. But I did not yet have time to try this either. Pin 5 of the USB connector needs to be connected to GND, too. Change footprint of D3 to accommodate MELF packages. Maybe replace the mini USB connector with a micro USB one. 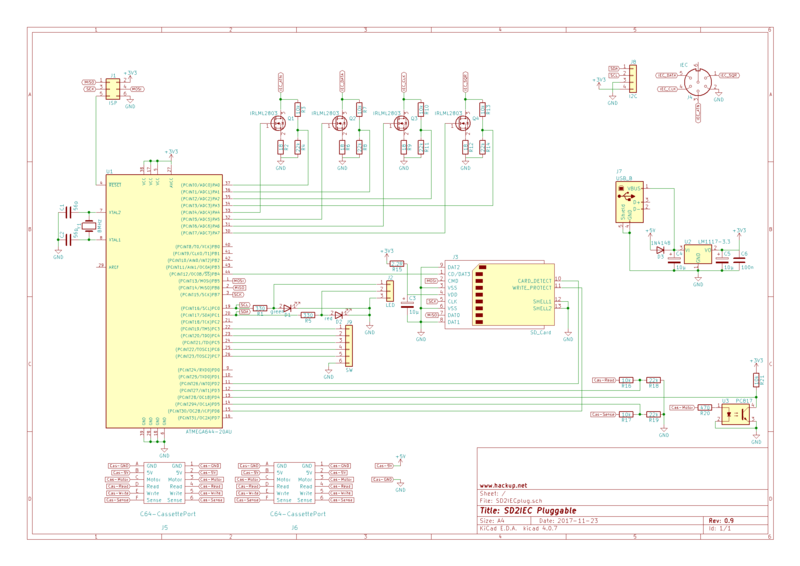 The KiCAD project files are available on Github in case you’d like to make your own pluggable SD2IEC. If you do, I would love to hear about it in the comments! LOL, I just found this and then understood who you are! 😀 Well done, I’ll surely try it one day, keep it up! Looks very interesting, I will try to check if I can update the circuit to ATmega 1284 and some other things like LCD connectors and then order some pcbs for my one. Great post, lovin’ it! Thanks, glad you like it! 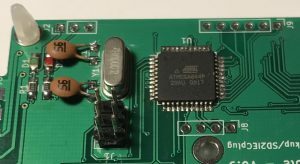 The ATmega1284 is no problem, it’s a drop-in replacement. Please note that there is a new version of the SD2IECplug.